Holidays are knocking at your door! So get started with a cheerful holiday look. And that doesn’t mean you have to spend thousands of dollars to decorate your home. You can definitely buy branded decorations from the store, but if you want to save money, DIY Christmas decor ideas are definitely a great option. And these eight DIY Christmas decor ideas are definitely budget friendly. These ideas are traditional, modern, and fun! So don’t worry about breaking the bank and try some of them out! Lights play a huge role in decorating our homes. So why would you waste money at the store when you could try this idea out? Take a craft ring of at least 12 Inches. Then put hot glue inside it and paste colored bulbs on. In just a few minutes, your wreath will be ready to hang up! Mason jars have different functions. And for this easy decoration, you just need 6 mason jars. Now you have to fill them up with tinsel, ornaments, greenery, etc. Then make a pyramid with the jars and decorate them with a glistening garland. You can also put a big star on the top. Your decoration is done. Count down the days in a stylish way until Christmas hits your door. Prepare little and cute paper envelops and put surprises in them. You can put candy, tiny toys, or even tickets inside. Embellish all these cute envelops with tags, washi tape, etc. and place them on a corkboard. For this one, you can get empty glass orbs of different sizes at the dollar store. Buy at least 4 to 5 orbs. Then pick some wood chips and fill out one of the orbs. You can decorate the next one with a beautiful peacock feather and paste it in with glue. 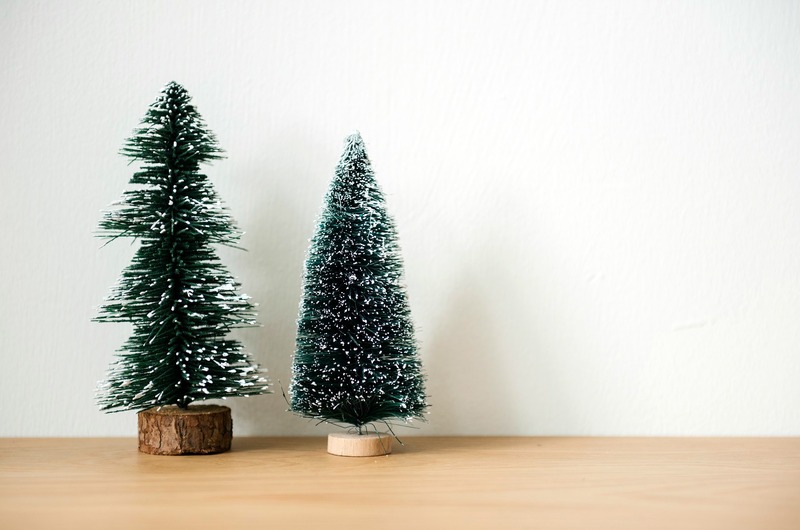 You can show a Christmas scene with a small tree and artificial snow in the next one. Now take some hot glue and put some branches into another. Your decoration is complete. You can get amazing bird cages at any dollar store. Just hang it anywhere, fill it with some strung lights, and it’ll add a warmth to any space. If you want to bring out all your memories, then take your favorite snapshots and put them together on the wall like a ring. It’ll look great as well if it’s in black and white. Hope you liked all these ideas! And remember not to waste your hard earned money on purchasing expensive Christmas decor this year. Just try out these amazing DIY Christmas decor ideas and bring the Christmas spirit into your home.